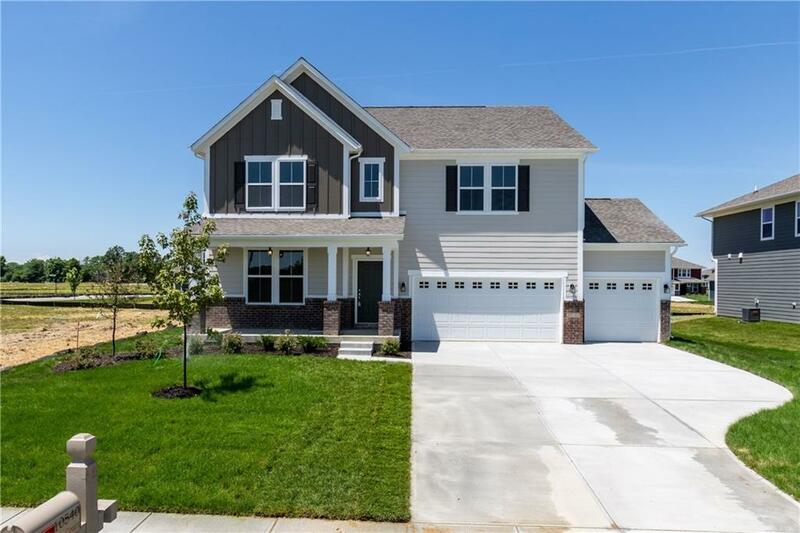 Spectacular 4BR/2.5BA + Loft BRAND NEW CONSTRUCTION perfectly situated on desirable cul-de-sac homesite! Charming covered front porch! Chef's Dream Kitchen w/lovely white cabinets, SS appliances, gas cooktop, double ovens, granite tops, & incredible island w/bar top. Bright & Sunny Morning Room is adjacent to the kitchen. Stunning Master Retreat w/trey ceiling, spa shower, dual vanities, & 2 walk-in closets!! Upstairs Loft & Laundry Room! Full Unfinished Basement includes 9' walls, full bath rough-in & egress window. 3 Car Garage! Boot Bench by Garage Entry, Iron Spindle Stairs, Water Softener Rough-in! Community offers pool, bath house, soccer field, playground, & sports court! Amazing opportunity in Hamilton Southeaster Schools!